The strongest cold wave of this winter began and will continue to grip the nation throughout the week, the Korea Meteorological Administration said Monday. Temperatures in inland regions fell to around minus 10 degrees Celsius Monday morning with strong winds. They are forecast to dip even further Tuesday morning, with Seoul seeing a low of minus 12 degrees. “Due to the influence of a continental anticyclone expanding from northern China, most regions in Korea will see clear skies until Wednesday, Dec. 13. The western coast of South Chungcheong Province, Jeolla provinces and Jeju Island, however, will see partially cloudy skies and snow,” the KMA said. The KMA issued heavy snowfall advisories Monday morning for Seocheon and Boryeong in South Chungcheong Province, Jeongeup, Iksan, Gimje, Gunsan, Buan and Gochang in North Jeolla Province. By Tuesday, a snowfall of 5 to 15 centimeters is expected on the western coast of the Jeolla provinces; 3 to 10 centimeters in inland regions of Jeolla provinces and mountain areas of Jeju Island; and 1 to 3 centimeters on the rest of Jeju Island and inland areas of the Chungcheong provinces. The morning lows on Tuesday will range between minus 17 degrees Celsius and minus 2 degrees Celsius. 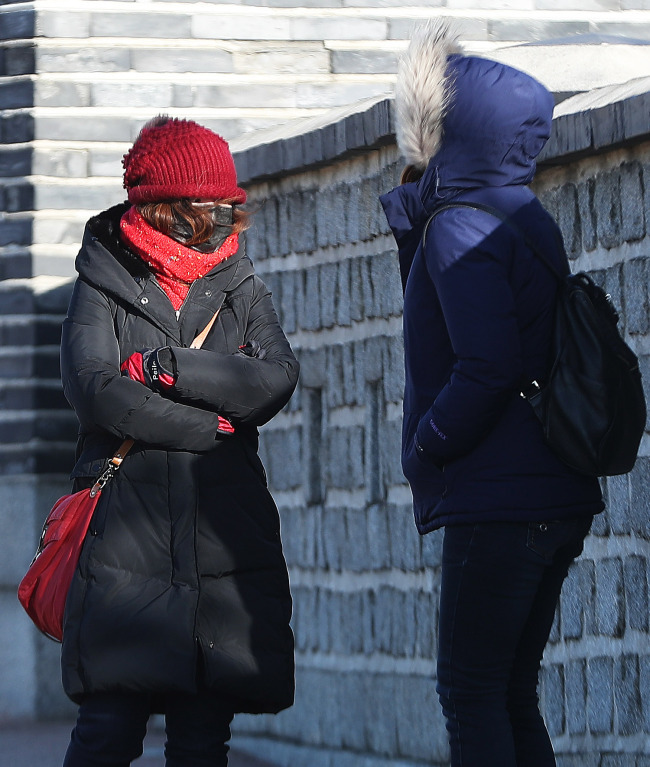 Daytime highs will range between minus 6 degrees Celsius and 3 degrees Celsius, the KMA said.